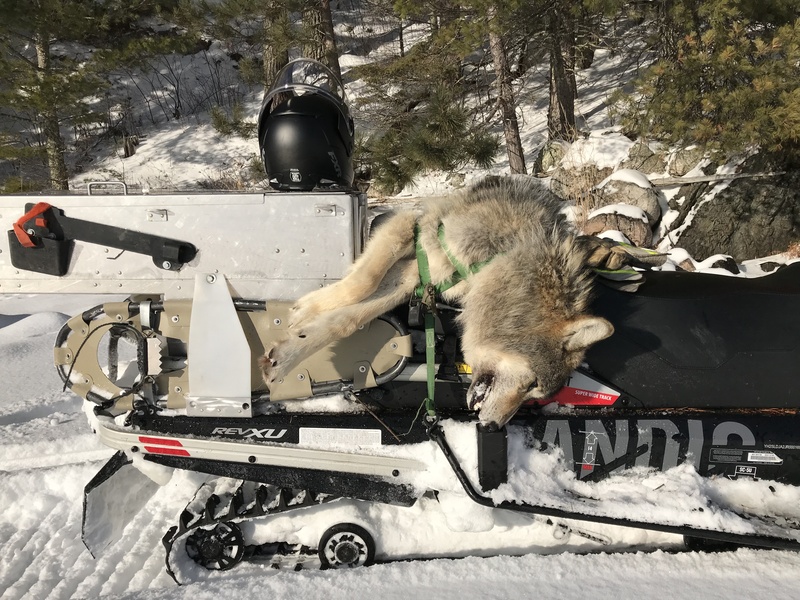 Wednesday January 16, 2019 | Hyatt's Manion Lake Camp Ltd.
Don harvested this wolf at his Barber Lake trapline, he noticed that there's many wolves around that area. As predicted our temperatures have plummeted as we reached minus 30C this morning. Don is heading back to his trapline today but he's not looking forward to riding around on a snow machine in this cold. Today's forecast -Sunny. Wind up to 15 km/h. High minus 18. Wind chill minus 34 in the morning and minus 24 in the afternoon. Risk of frostbite. UV index 1 or low. Tonight	Clear. Becoming partly cloudy near midnight. Wind up to 15 km/h. Low minus 24. Wind chill minus 24 in the evening and minus 29 overnight. Risk of frostbite.